Visual Studio Code>Programming Languages>avro-idlNew to Visual Studio Code? Get it now. 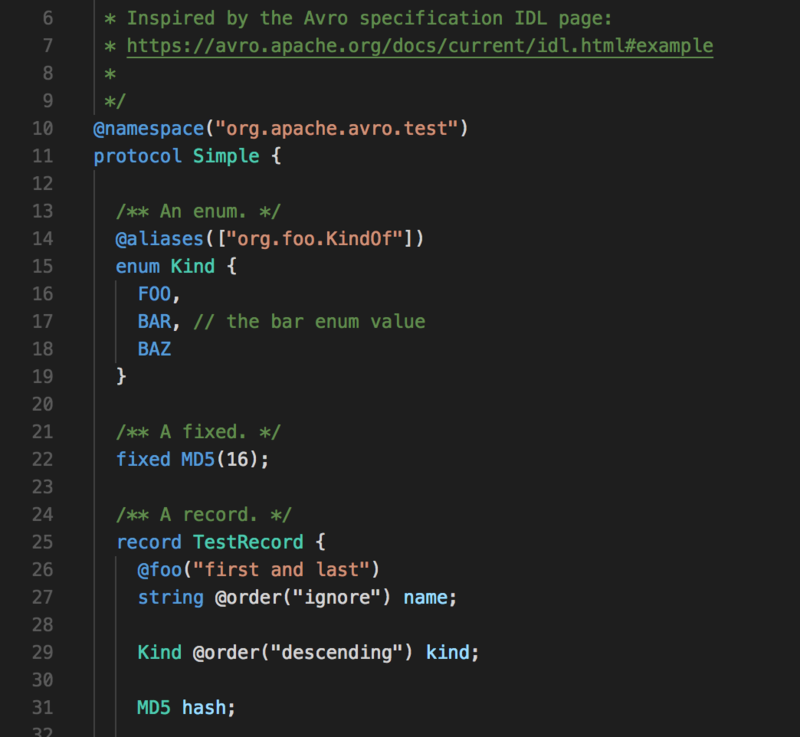 This is a simple Avro syntax highlighter extension for VS Code. It works with Avro .avdl and .avsc files.